From the East - West on Lake St. to Carson Park Drive. From the South - East on Menomonie St. Carson Park Drive. 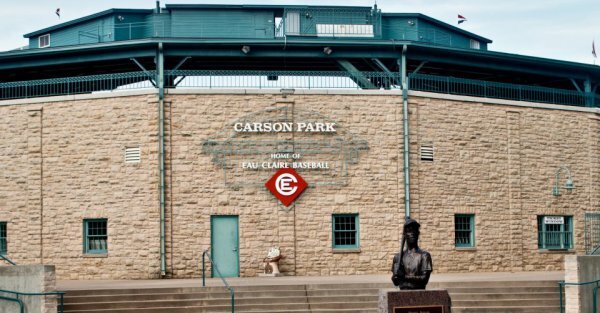 Carson Park is a park in Eau Claire, Wisconsin. It is located on a 134-acre (54.2 ha) peninsula created on an oxbow lake, Half Moon Lake, which was part of the former course of the Chippewa River. The park contains baseball, football, and softball venues, as well as the Chippewa Valley Museum.